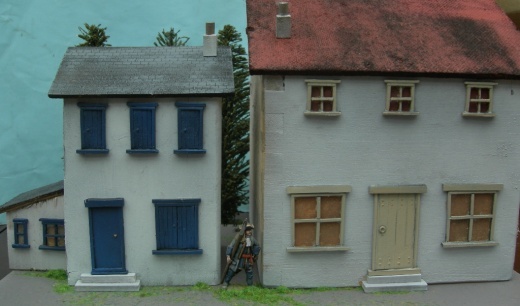 A range of architectural pieces that can be glued to a block of wood or cardboard box to make cheap and interesting scenery. Make your own "Grand design"! Buildings made from blocks of wood, a wooded box and LAR1,2,3,4,6,7,8 & 9. Roofs made from scored hardboard, and the rough side of a piece of hardbaord. Cardboard would have been easier!